Hey babes! 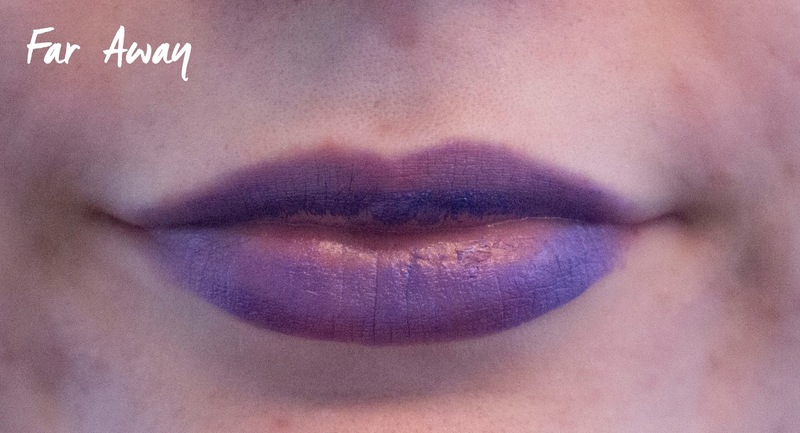 A while ago I bought this Star Wars Freedom Lipstick kit and these colours are so special that I had to share swatches with you! I kind of geeked out when I saw these online and I had to buy them even though I will never wear these colours during the day. You can still find this Far Away Collection on the Freedom website. This kit cost me 7,99 Euro's, that's very cheap for 5 full size lipsticks. 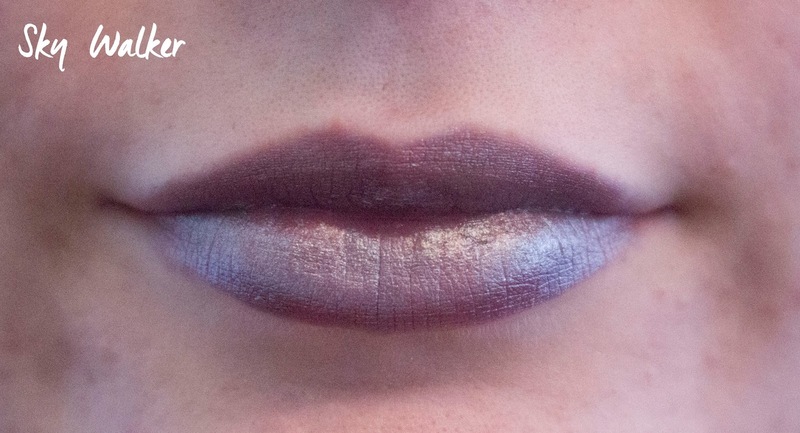 The swatches seemed very pigmented and not too dry but when I tried them out on my lips I was very disappointed. 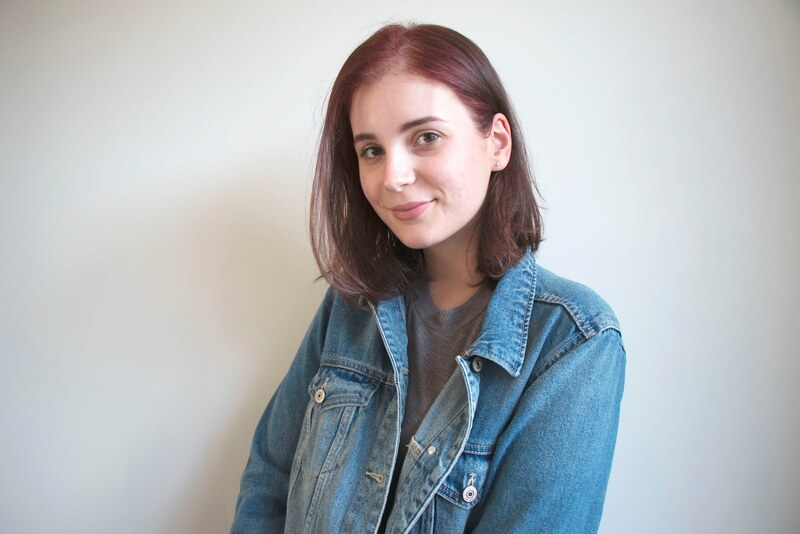 The coverage is not great at all, they apply very patchy and not evenly. I can see my lips peek through even after a few coats. The consistency of these lipsticks isn't the same for every colour. I liked the silver and black one best. The white isn't pigmented enough and looks quite weird. The purple is horrible to apply and clings to dry spots even more than the rest does. 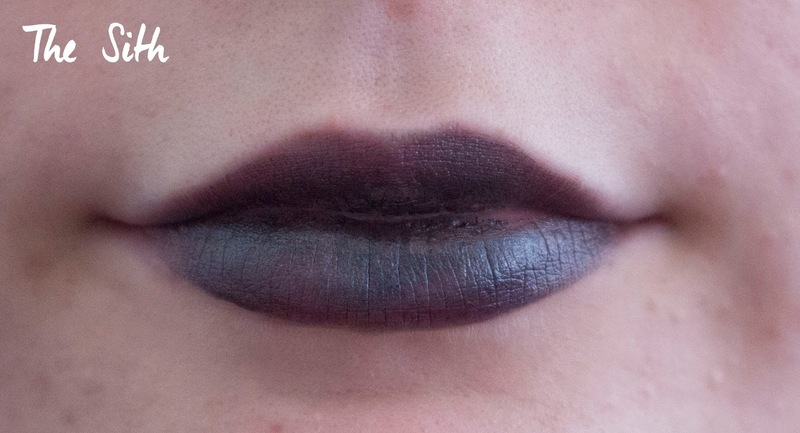 As you can see the purple one is very patchy and uneven, it didn't apply easily and wouldn't even cling to the middle part of my lip. So it's safe to say if you are looking for a special lipcolour to wear on its own during the day or for a night out, this isn't the one. These are fun to play with and maybe great to use mixed in with other colours or even for a halloween party or to finish a special lip look. But I couldn't wear these as an actual lipcolour on its own. The black one looked alright but since it's a metallic black it applies a little patchy as well. 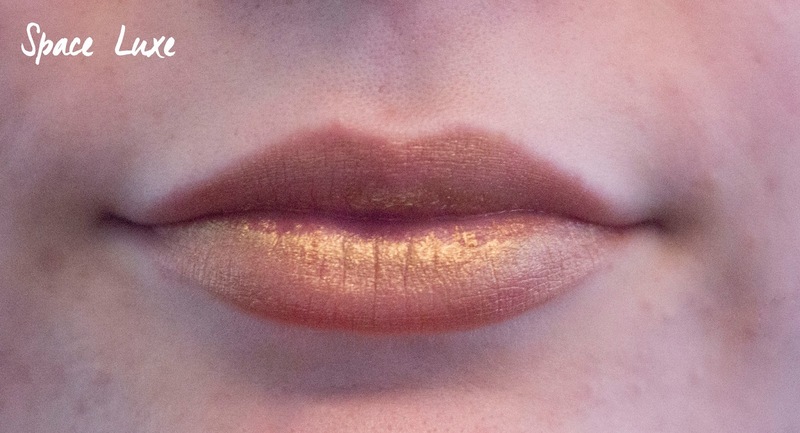 The silver and gold colours are more of a sheen but they are very pretty, I might use these on top of another lip colour. 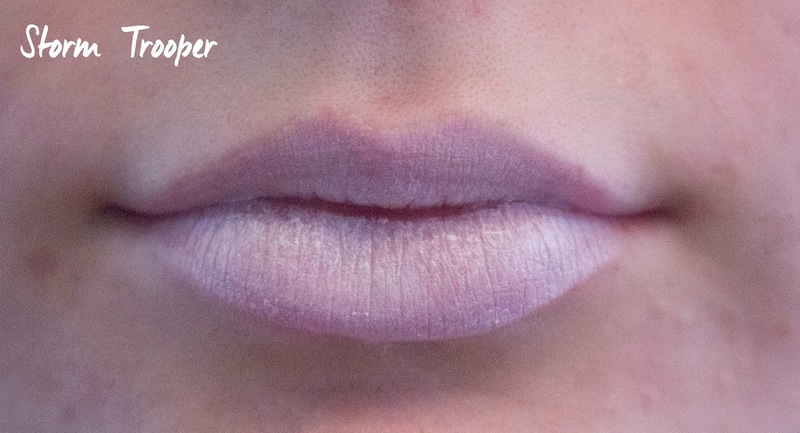 This white colour isn't pretty at all and applies very patchy as well but this could be great under a brighter lipstick or to lighten the middle of your lips. The colours of these lipsticks are very pretty but I'm disappointed to see I won't be able to wear these on their own. I'll keep trying them out and playing with them to see how I can use them though! Would you ever wear one of these colours during the day?